It's time to update my textures that I use repeatedly for my jewelry, so I've been working in the sketchbook. Draw until I get a design that appeals to me. Scan the image and upload it to Photoshop. Convert to black and white, maximize contrast and clean up all edges. 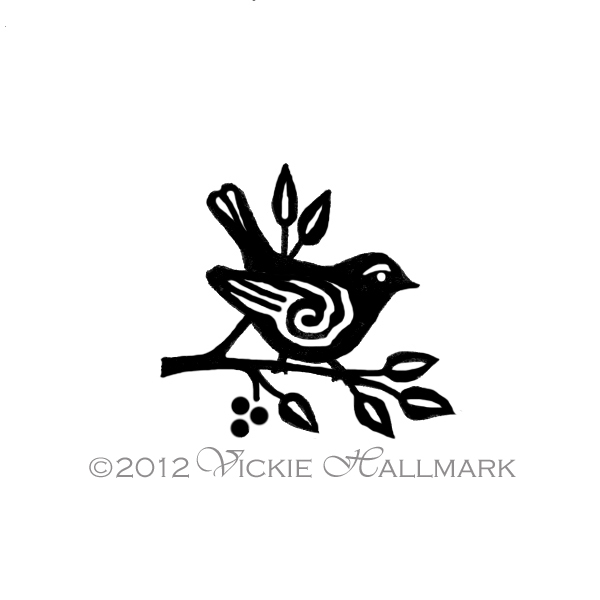 Upload and order an unmounted rubber stamp of my original work. Great idea! I really should do this. So great that you use all of your own textures. I think it really helps to identify your work as YOURS. And such lovely work it is! Thanks, Suzan & Cheryl! I think every artist should strive to personalize their work as much as possible. This is a simple thing that makes a big difference. Who do you use for your custom rubber stamps?